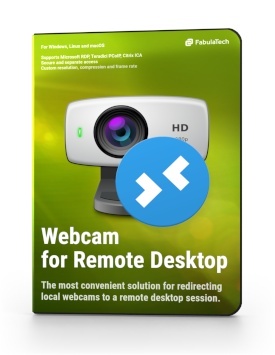 Before Webcam for Remote Desktop was developed, there was no alternative way to work with local webcams within a remote desktop. You couldn't redirect locally plugged in webcam to your remote session. 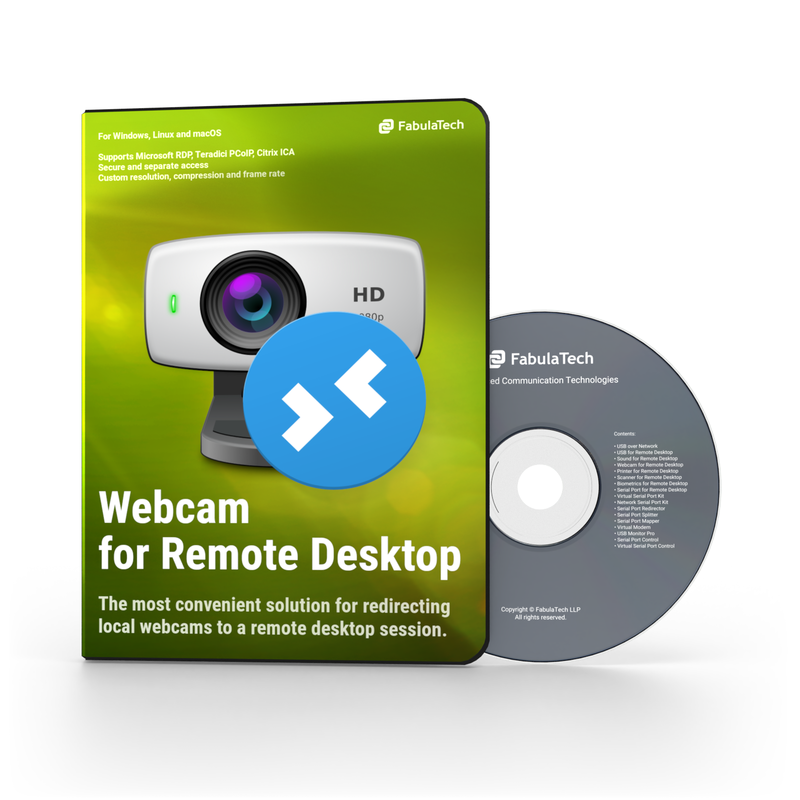 FabulaTech offers you software that will make your work with local webcam in a remote desktop environment possible. The program allows video steam feeding with low latency and doesn't require any settings. The program is easy to work with. Install the Workstation part on your local computer and the Server part on the remote side. That is all it takes. Supporting both Microsoft RDP and Citrix ICA the program creates a virtual webcam on the remote side so it gets the video stream directly from the webcam plugged into your local computer. Since the feeding of a video stream is performed on a high level, webcams are isolated within each users' individual sessions. It means that only you can have access to your webcam. No one but you are able to see it in the system. This mode allows avoiding the necessity to select a webcam for redirection every time. The feature is particularly useful when you have to login to the same session from different computers. The program redirects a webcam which is physically available. If there is more then one webcam available, the program redirects the last plugged in webcam to your session. Be flexible! This is an ideal solution for both RDP and ICA protocols. Benefit from working in both of these environments. Don't worry, your webcam will do! 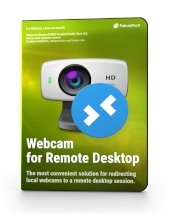 There is no limitation to certain types of webcams or other DirectShow compatible devices. The program reduces video stream's volume and as a result speeds up data transfers. The image quality is absolutely maintained. With Webcam for Remote Desktop you can customize video resolution. Whether you need a big picture or small now you can have it. No distorted or fuzzy video picture! 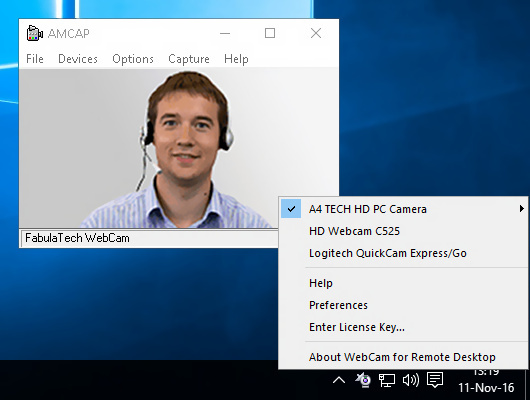 Webcam for Remote Desktop doesn't require device drivers on the remote side. You don't need to worry about driver installation which often requires administrative rights and system reboot. 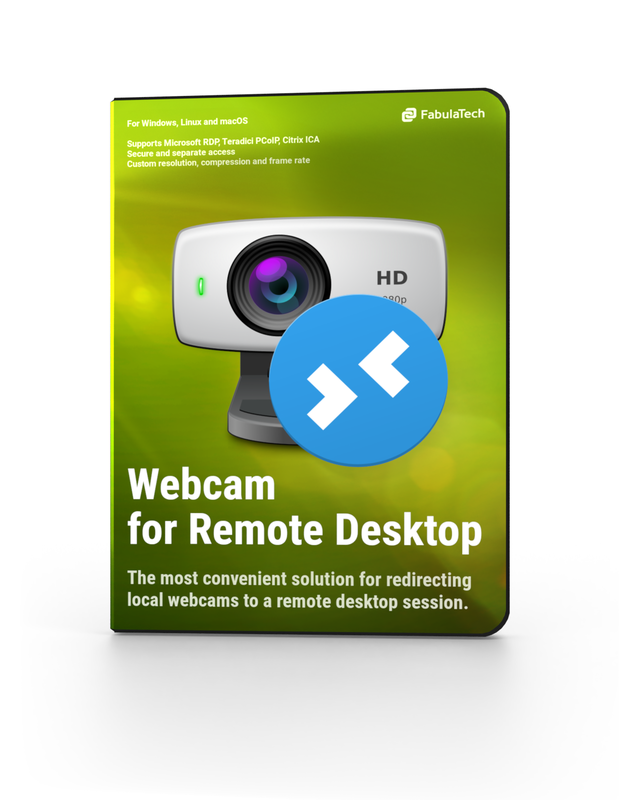 All you need to do is simply install the program and work with any number of local webcams from the remote desktop session. That is all it takes! Don't choose between Instant Messengers. All of them work perfectly with Webcam for Remote Desktop. 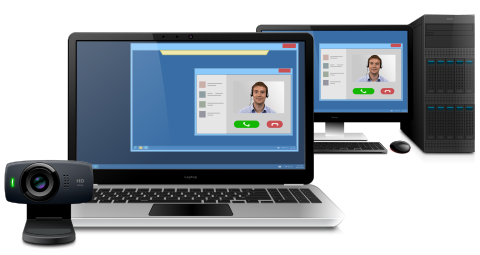 Skype, Yahoo!, Messenger, Google Talk, ICQ are available now for video-chatting in a remote desktop session. When you are logged into several remote sessions, Webcam for Remote Desktop redirects the webcam to all the desktops simultaneously. Thus you don't have to switch the webcam between running desktops all the time. The program is absolutely compatible with any virtual machine such as VirtualBox, Parallels, VMware, QEMU, Windows Virtual PC and more. 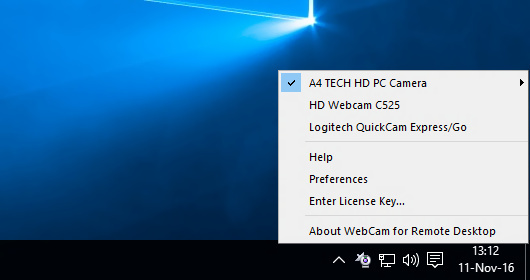 Webcam for Remote Desktop is 64-bit and 32-bit compatible. This handy feature provides you with easy and flexible way of migration between 64-bit and 32-bit operational systems. You can work as in homogeneous as in heterogeneous environment. Ready to work out of the box! Webcam for Remote Desktop doesn't require any settings. The software is extremely easy to work with. Just install the program and enjoy your work with Webcam for Remote Desktop.